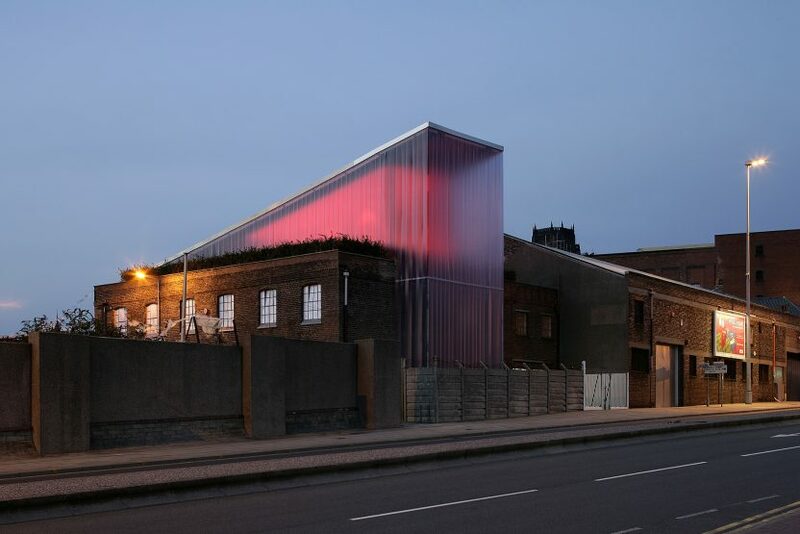 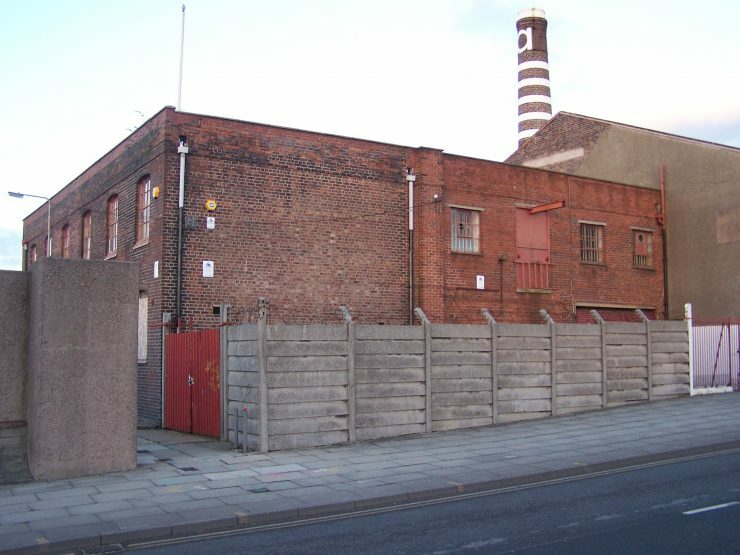 The Kunsthülle LPL, also called the serpentine pavilion of the north, was a sculptural construction for Greenland Street, a major new venue for contemporary art in Liverpool. 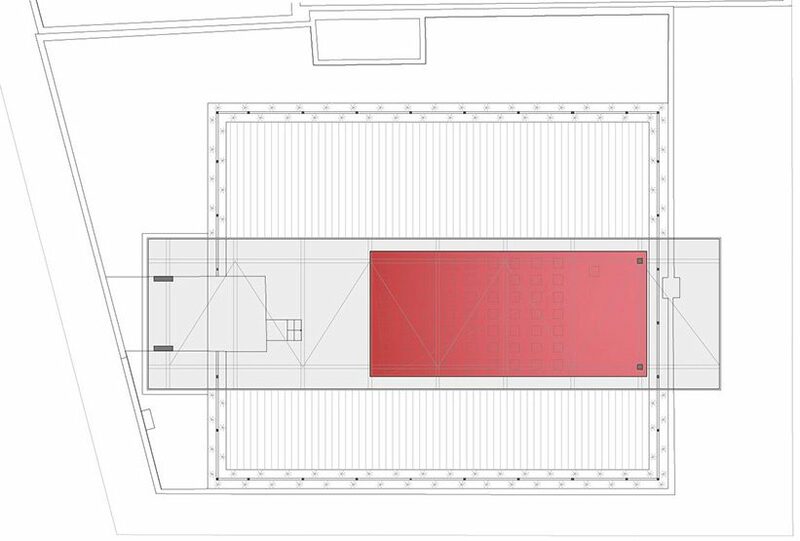 It provided a playful and experimental space for lectures, performances and events. 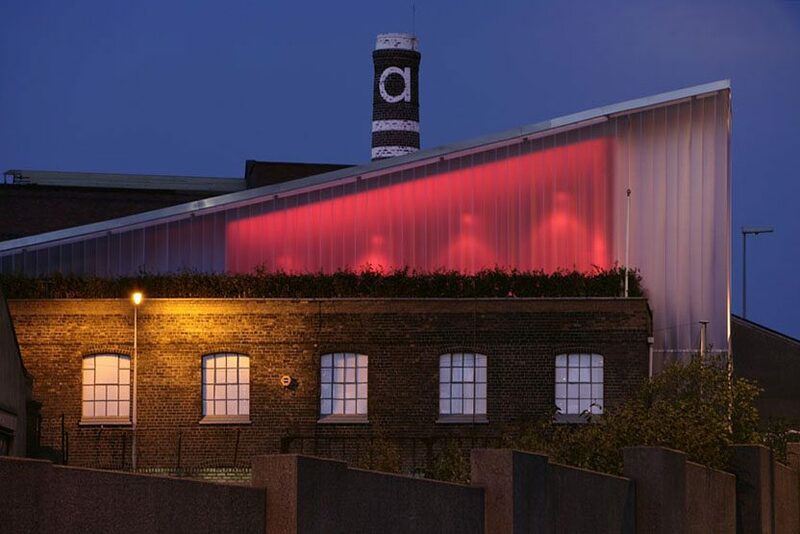 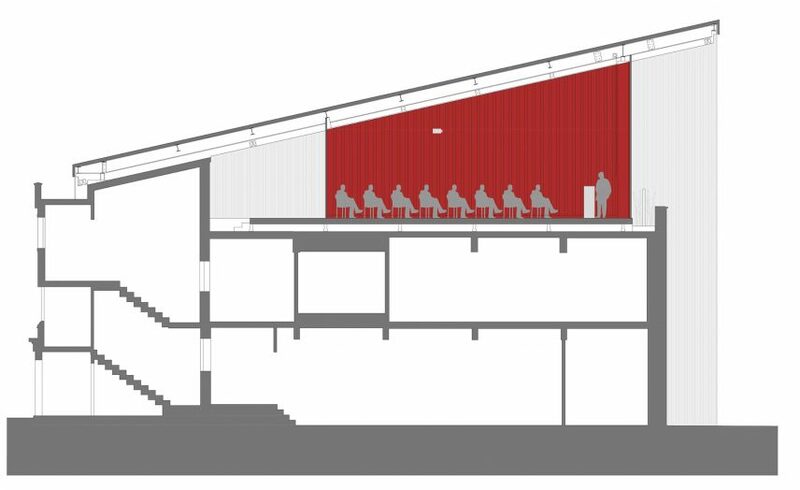 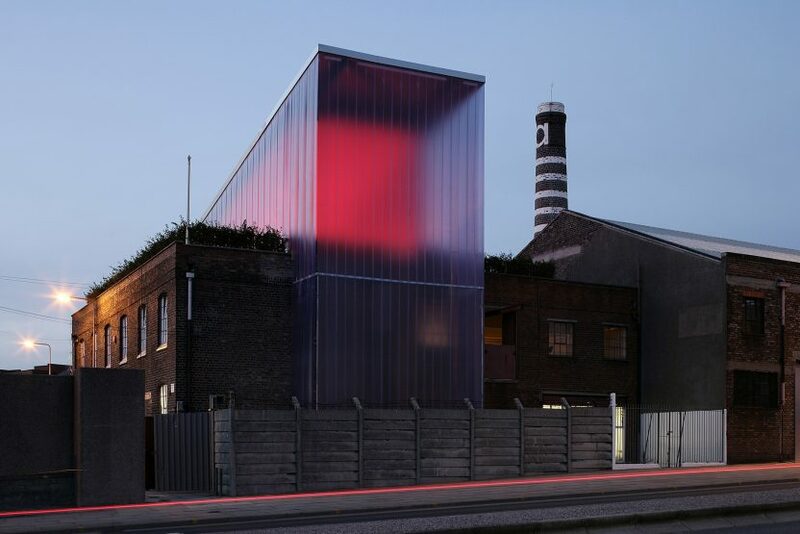 It appeared to merge into the old factory, incorporating an existing staircase, the roof top, and extending out over the public Façade of the building. 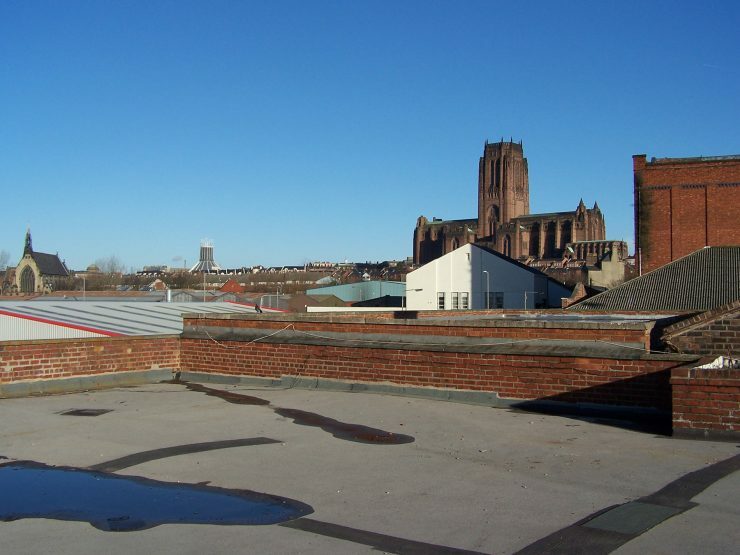 The structure divided the rooftop into two terraced spaces – the City and Merseyside – that were lined with green hedges. 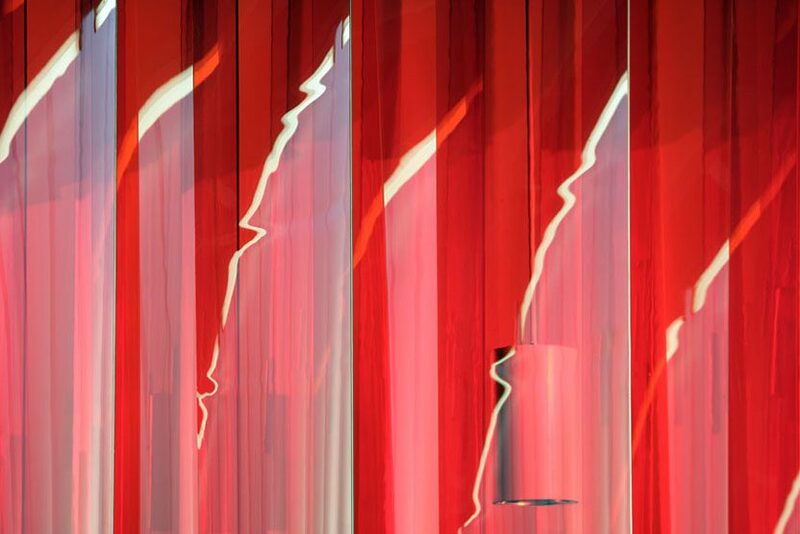 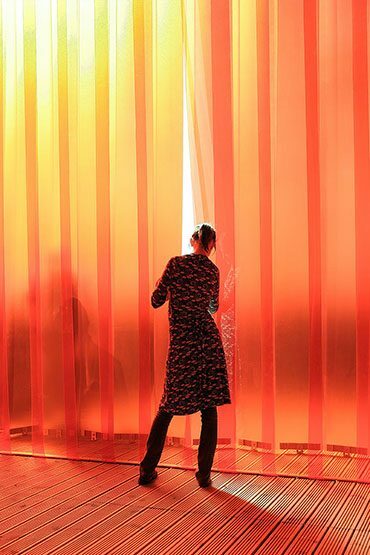 A permeable membrane allowed visitors to walk from one to another, passing through a curtain that flexes and warps. 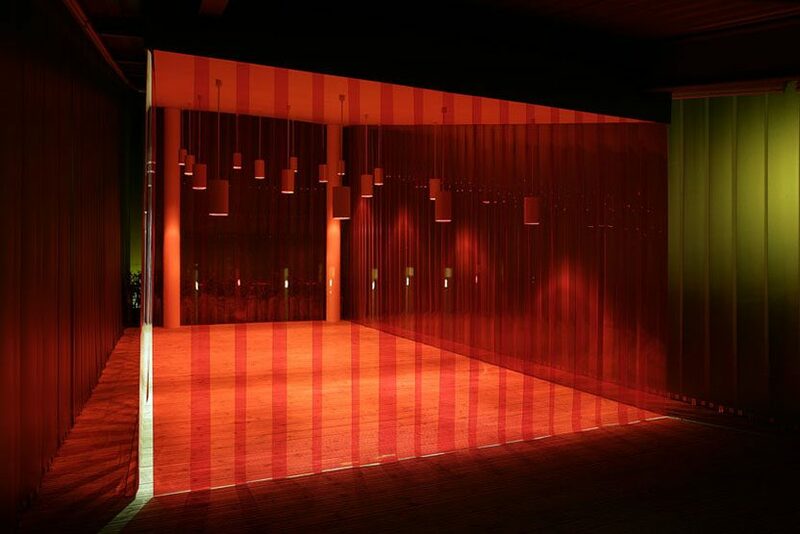 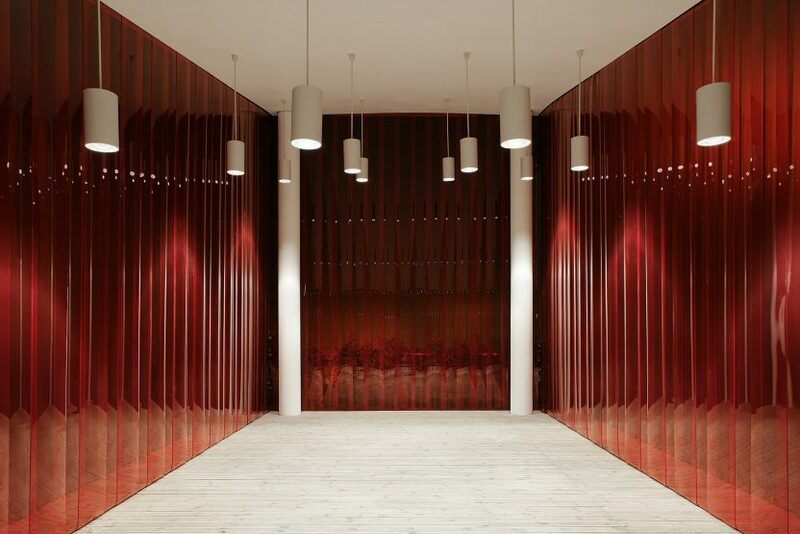 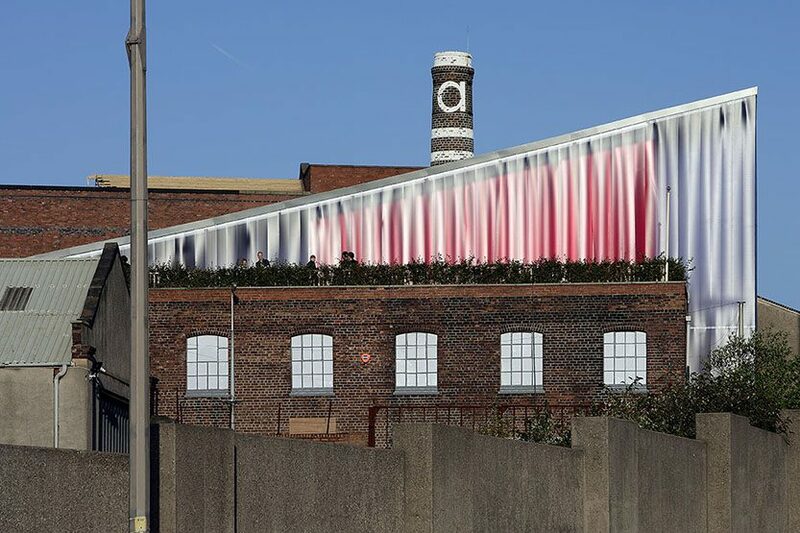 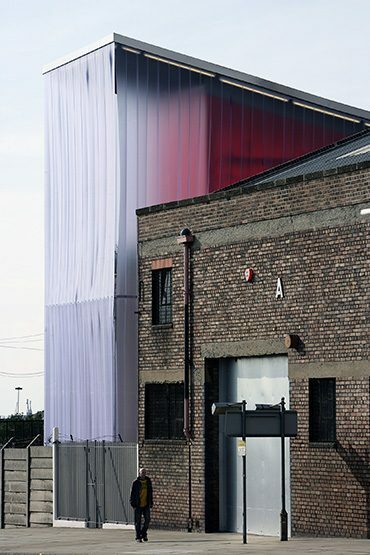 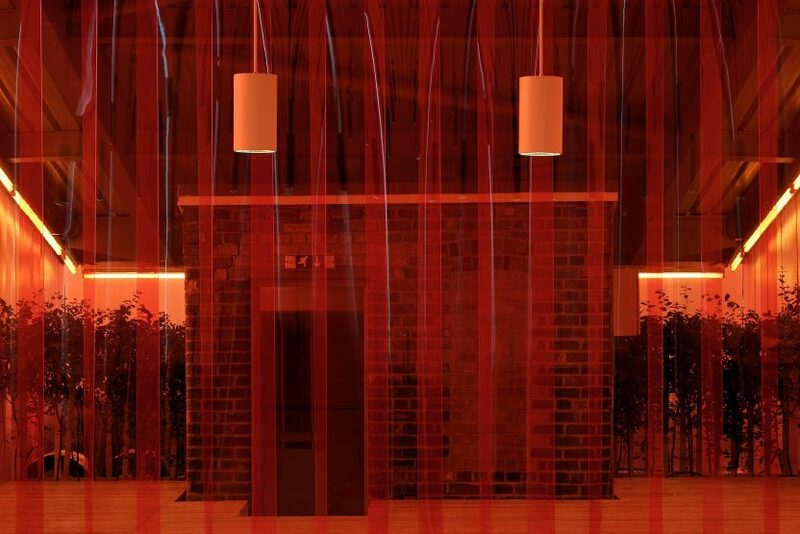 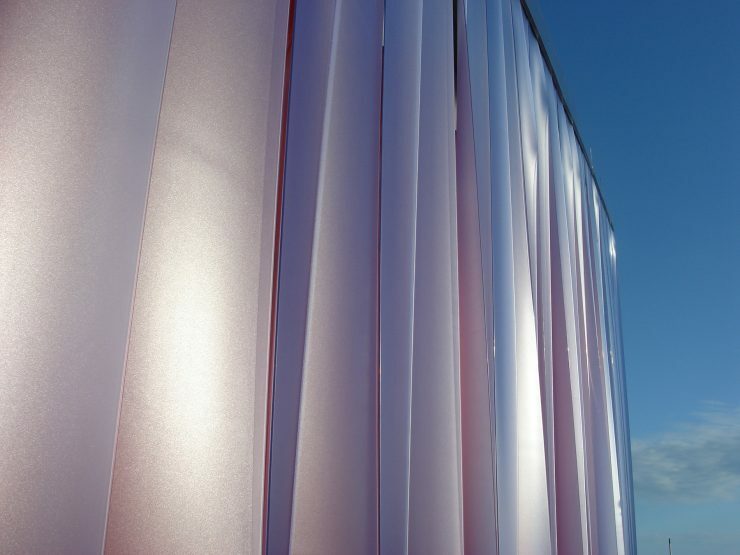 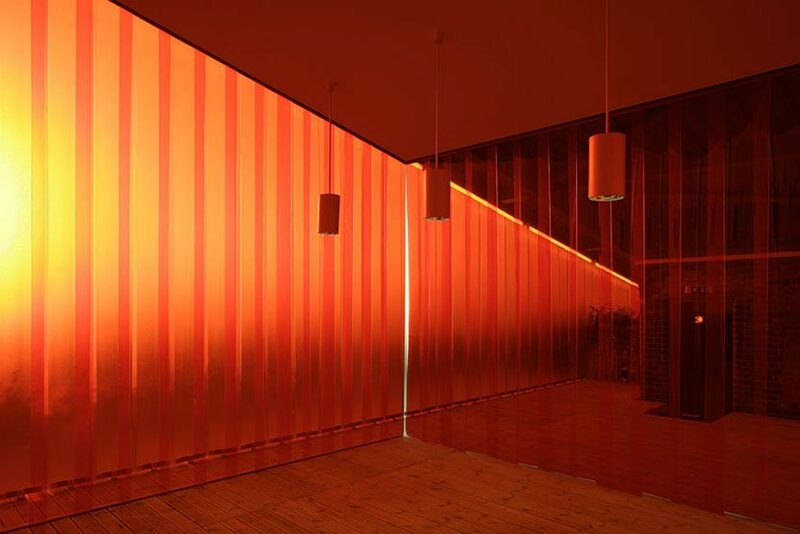 Made from the PVC curtain used in modern factory buildings, the translucent skin had two layers: an outer white layer, which protected the space from the weather; and an inner red layer, which added thermal and noise protection.